When looking for fast solutions for your building or storage space needs, many owners and architects are considering the process of building customized modular buildings. They allow the job to get done quickly, efficiently and maintain your professional image. Figure out if you’d like a steel or wood framed modular building or, whether you prefer a panelized structure or even a repurposed shipping container for your building. Either of these options can integrate with existing structures as well as keep in mind the existing environment. Here are 9 applications modular buildings provide affordable solutions for. Congregations are constantly growing and therefore, additional space and unique space solutions are regularly arising needs. A separate location for the youth to meet or moving administrative offices outside the main building to make room for more classrooms inside are examples of how modular buildings can assist a growing congregation quickly and with minimal construction during services. With the offsite construction and delivery, new space for the church could be implemented between weekends! Large and small businesses, as well as local and state government, are typical users of temporary modular office space. But office space utilizing modular units doesn’t have to be for temporary purposes only.. Permanent modular buildings serve as corporate headquarters, satellite bureaus, institutional and administrative buildings, and offices for small businesses. Many child-friendly amenities and necessities that keep the safety of children as the highest priority are implemented in modular structures. Some of these necessities are Security & Sprinkler Systems, Washable Wall Finishes, Tack boards, and Shelving and Cubbies. Another great benefit of using modular buildings for a daycare is the ability to transport them to different locations. If one location has higher admittance in a new season than a previous location, the building can be transported where it's most needed. Modular schools and portable classrooms function as temporary or permanent facilities and the modules can be relocated or expanded to accommodate the growth of the school district. This is the advantage of modular construction that administrators love. Due to their fluctuating enrollments, shifting demographics, and aging facilities, having a fast and affordable building close at hand makes one less decision to worry about. Emergency expanse for a healthcare facility can quickly become a top priority based on regional disasters or unexpected extra admittance at one time. If your healthcare facility needs more space to best accommodate the community's needs, consider a modular building as a cost-effective flexible solution. 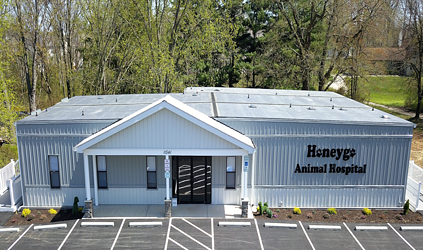 Whether it be a temporary or expansion quick-fix, or a permanent laboratory, diagnostic center, MRI unit, dentist office or other medical facility, modular buildings provide the fast solutions for health care needs. For retail or service businesses like banks, restaurants, convenience stores, automobile dealerships, new home sales centers, or even golf pro shops, modular buildings are not only a fast solution for starting up or growing bigger, but also a financially smart option in saving money. 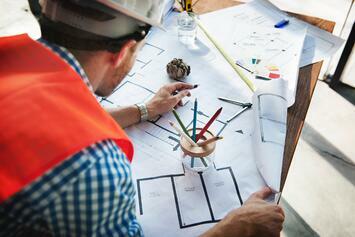 Custom buildings are built to the customer's specifications in weeks, not months. Earlier occupancy means a quicker return on investment and it's not uncommon for many modular buildings to be up and running in as little as 48 hours! 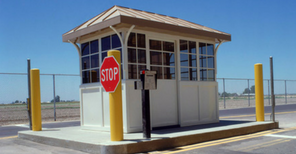 Scale houses are used for any industry that monitors and manages cargo weight, traffic & transactions at highway weigh stations or functions on landfills or recycling centers. It’s important these buildings include customized electrical systems, factory plumbing, restrooms & HVAC systems since they tend to be remote and isolated. Using modular buildings or shipping containers for a scale house eliminates the time it would take for this small but necessary part of the business to be constructed traditionally. security house is on the premises. Power plants, correctional housing, courtrooms, transfer handling centers and administrative centers will all eventually need to update their current facilities. Modular construction is the smart solution for this need because of the fast turnaround and savings potential. 50% is saved building a modular structure instead of a conventional building. The traditional type of structure used for storage is stick-built construction, however, there are significant advantages using modular construction for a self-storage facility. Temporary or permanent modular buildings are built in strict accordance with appropriate local, state and national regulations and codes AND can last just as long as stick-built structures life expectancy, if not longer with the correct maintenance. Wilmot Modular Structures evaluates the benefits of our prefabricated structures as they relate to overall space needs in both the short and long-term. Modular structures work with virtually any budget. Re-usability, flexible engineering capabilities and the vast number of ideas for maximizing space usage combine to make modular buildings one of the most cost-effective and efficient types of the construction process. We’d love to collaborate with you and bring customized solutions quickly and efficiently!